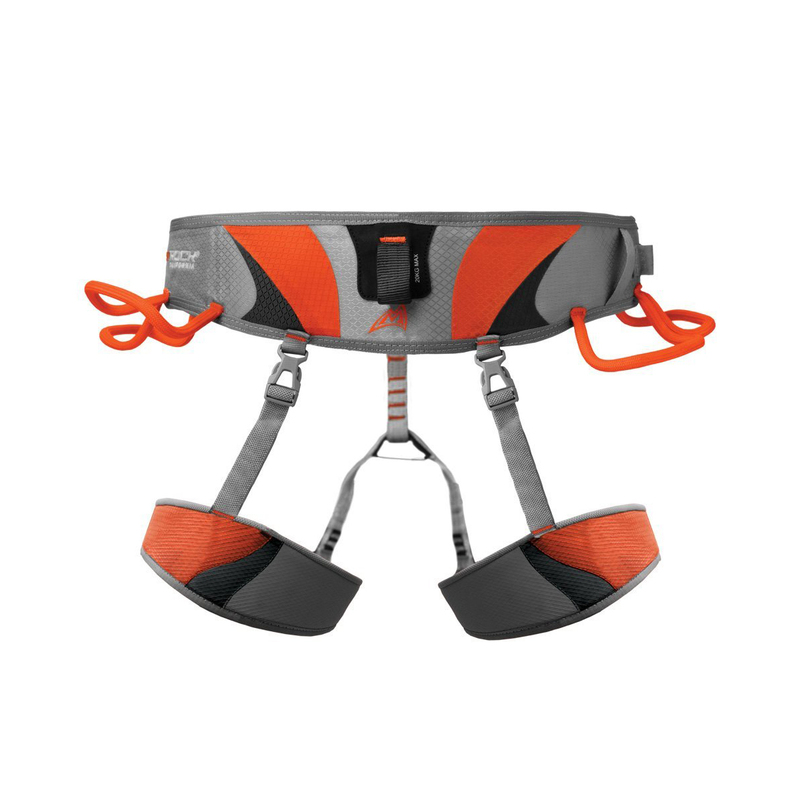 Mad Rock’s Solar is the ultimate harness for minimal weight and exceptional comfort. Featuring an ergonomically shaped waistband cut from a single piece of webbing, it will distribute your weight evenly when you’re hanging, while the inner areas of the harness feature a silicone gel print to keep it in place while you’re climbing. A great, high performance all-rounder for any type of climbing. 4 gear loops give you a decent amount of storage space on your harness without compromising too much on weight. EVA (Ethylene Vinyl Acetate) is a soft, springy foam that’s often used in the soles of running shoes to absorb impact and aid the ‘pushing off’ motion of the feet when walking or running. Bonded into the lining of a harness, it serves to provide extra comfort and aid weight distribution. The adjustable waist belt and leg loops have auto-lock buckles for easy tightening and simple adjustments.